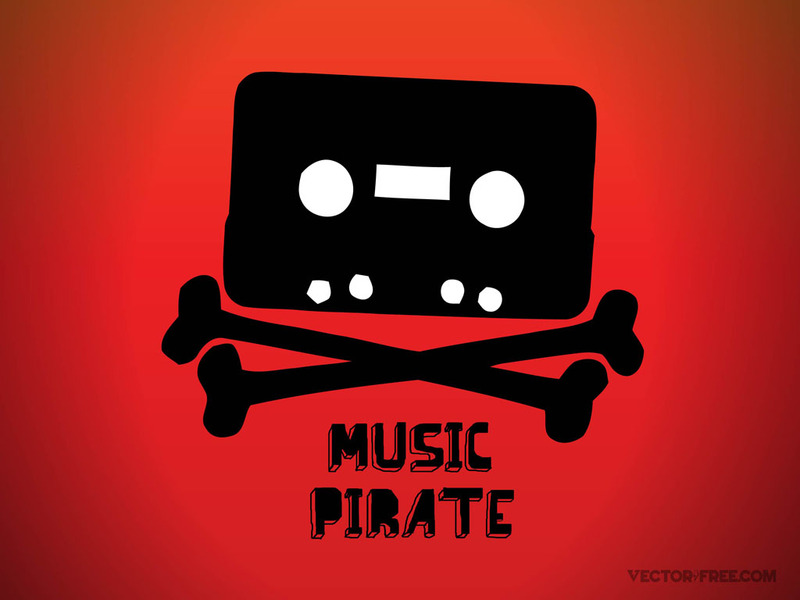 Tape vector icon with crossed bones and ‘music pirate” typography. Download music piracy vector graphics related to illegal music downloads and the distribution of songs for which the artist or record company did not give consent. Download piracy symbol in vector art format. Tags: Audio, Bones, Copyrights, Downloads, Music, Piracy, Sound, Tape.